Halloween is almost here! To celebrate I thought I'd take a look at some different representations of ghosts in art. Below you'll find a roundup of some spooky (and sometimes hilarious) images of ghosts. These images show depictions of European and Russian ghosts dating from 1800 to the 1930s. Ghosts were utilized either to haunt a figure for their wrongdoing, seen in William Blakes depiction of Richard III or the painting of Ivan the Terrible, or as a reminder (memento mori) that we will all die one day. I have a particular fondness for Japanese ghosts. On one end you have playful depictions of dog ghosts and on the other you have hungry ghosts. Hungry ghosts are unusual in that they are a punishment for doing evil deeds. If you are reborn as a hungry ghost it is because of a desire, greed, or anger from your past life. In Buddhism, there are several types of hungry ghosts but they all end up suffering similar fates: an inability to eat (the worst fate of all). Below are two examples of "modern" ghosts. Wendell Castle's Ghost Clock is particularly interesting because it is carved from a single block of mahogany. 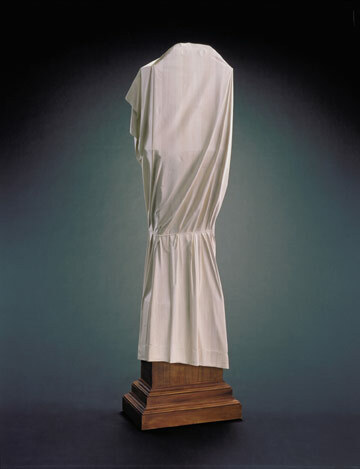 A portion of its object label at the Smithsonian reads, "With meticulous detail, Castle re-created in wood the contours of soft, supple cloth, then completed the illusion by bleaching the “drapery” white and staining the base of the “clock” a walnut brown. This work is the last in a series of thirteen clocks the artist created in the 1980s; unlike the others, it lacks an inner mechanism. Its haunting stillness and silence suggest eternity—the absence of time." Probably the most recognizable of all the art in this post! 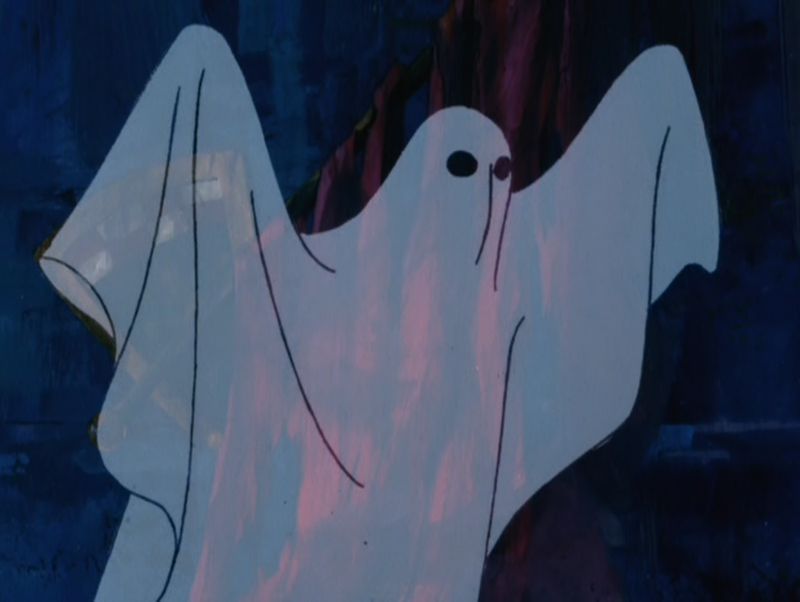 The first time many of us saw a ghost was from a cartoon. I'm including some of my favorite ghosts from Scooby-Doo, Where Are You? Probably the most stereotypical version of ghosts comes from the Hassle in the Castle episode. What are your favorite cartoon ghosts? Tell us in the comments below!